Thanks for dropping by and welcome to our social media marketing guide, a complete guide to social media marketing, optimization, planning and growth. 26 full chapters to give you the insight needed to rock on social media. It doesn’t matter if you’re a beginner to social media marketing or a seasoned veteran, this social media guide is useful to all levels. It’s no secret that social media has become a major influencer for thousands of businesses all around the world. Nearly all of the big brands are active on social media. Countless companies are growing on social media, not only in terms of followers and fans, but also in sales. Social media brings an opportunity for us all and it’s up to you to develop a social media marketing plan that will accomplish your goals. You may be a social media guru or perhaps you’re new to social media marketing, but winning on social media takes a lot of work. While some companies work social platforms with ease, I guarantee you some smart minds were behind their planning and approach. There’s a lot that goes into the planning, approach and tactics of successful campaigns. Today, you’re going to learn everything you need to know about social media. Our social media marketing guide covers a wealth of experience that you’ll be able to implement into your own strategies and planning. 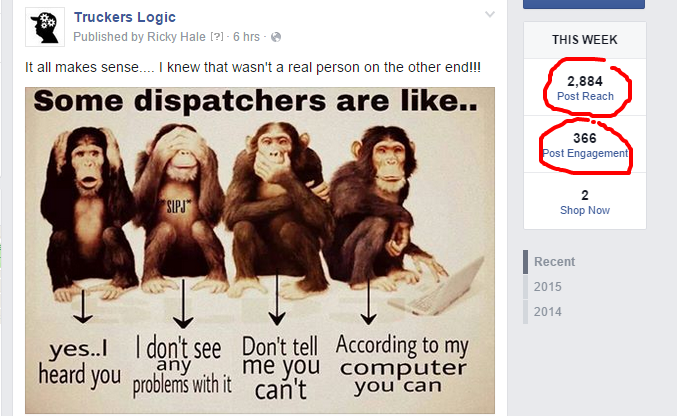 Truckers Logic uses Facebook to engage the company’s audience. They use a creative method of funny pictures related to trucking that has their post reaching thousands. Social media offers users the opportunity to communicate and engage one another online. Social media websites have been around since the early days of the internet. However, over the past 5 years, we’ve seen a spike in social media traffic and activity. Through social media, we’re able to connect and have conversations with other users from around the world. It gives us a direct line to world, just like the world wide web. Today, social media platforms have become powerhouses and major influencers on how we conduct daily business. Can social media help you grow your business? Without a question, it can. Learning how to use social media to market your business is the key and this SMM guide covers everything you need to know. In the beginning, there were social media platforms available, but the first powerhouse in this area was Facebook. Today, Facebook is the most popular social media platform online. Over 1.44 billion users globally. Others soon followed as social media gained momentum, Twitter, Pinterest, LinkedIn, Flickr, Instagram, Vines and so on. Billions of people use social media and many use it every day. On average in the United States alone, users average 40 minutes on Facebook a day. 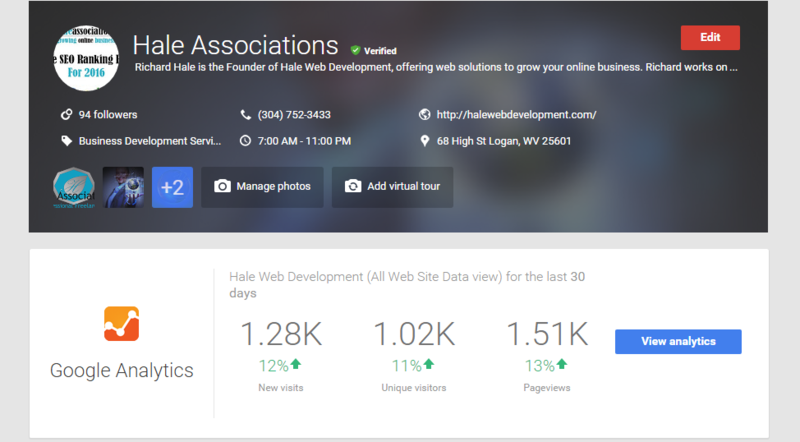 At Hale Associations, we use SEO Profiler and Google Analytics to report how our social media marketing efforts help bring traffic to our landing pages. Why should I promote my business online? How much time should I invest in social media? Will social media work for small business? I’ll answer those questions now, Yes, Yes and Yes!!! Social media hasn’t even begun to peak. Companies have been using social media marketing for years now and with great success. It’s time to bring your company into the mix, it doesn’t matter if you know social media now or not. By the end of this social media marketing guide, you’ll have the knowledge to be successful with your social media marketing campaigns. Social media brings opportunity for your business, but also a responsibility. This is especially true for SEOs and social media marketers. With the opportunity to share content to potentially thousands, you have a responsibility to uphold the brand you work for or your own brand. You have to think about how the message you want customers to know. You have to consider how you’ll engage with others, how you will respond to comments, both positive and negative. I like to point new users to Susan Gunelius’ article 10 Laws Of Social Media. Very helpful article, one that has been shared over 15,000 times. But to Susan’s credit, these social media laws are super important. Every one of them are centered around success on social media, all of them relevant today. The biggest element that I take away from this is patience. You can’t expect to be a social media success overnight, it doesn’t happen that way. It takes a commitment, a dedication, but ultimately knowing what you’re doing. Looking for some quick tips to promote your business on social media. April Joyner, an Inc. senior writer, gives you 30 tips in her article entitled 30 Tips For Using Social Media In Your Business. I love this article by April because these are not your “normal” tips for using social media for your business. The point to take away, social media is a great way to grow your business. What are the trends of social media marketing? Is social media going to last for years to come? Is it worth the investment? While we’ve seen incredible growth in social media over the last few years, the growth is only the beginning. 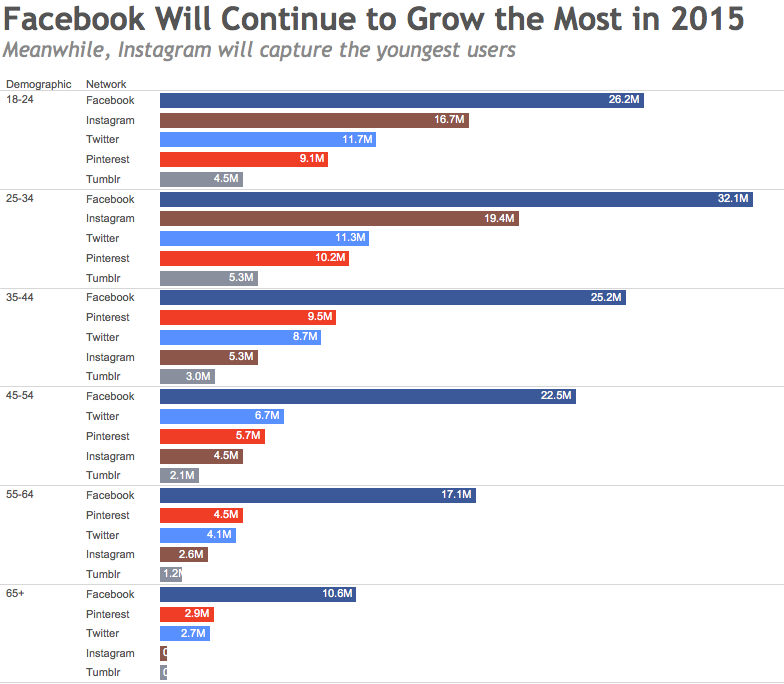 Nearly all of the major social media platforms are growing at good rates. Once smaller social platforms are also gaining traction and this just means more opportunity for us all. If anyone knows social media all around, it’s Jeff Bullas. I connected with Jeff on Twitter and become an instant fan. Jeff has achieved some great things in his career and still does today. Check out his 33 must-know stats regarding social media. Once you grasp the unbelievable stats associated with social media, it becomes crystal clear that social media marketing is a huge opportunity for all businesses. One of the greatest resources a business can have is people. Be genuine and make the effort to grow both business and personal relationships via social media. One of the greatest benefits of social media is the audiences that can be reached, the engagement and connections that can be made. The greatest tip that I can give you is to take the time to make authentic relationships. Be genuine about connecting with others, responding to comments and building your social platforms. A lot of people get caught up in growing your followers, some even consider paying for them. What good does 10,000 followers do you if they don’t interact and engage on your page? Your focus should be authentic relationships and not growing your social numbers. If you make genuine connections via social media, your numbers will grow naturally. Anyone that reads our blogs and guides, knows me personally, you’ve likely heard what I’m about to say. When I first began my career online, I didn’t take the time to build authentic relationships. I viewed everyone as the competition and boy was I wrong. It was a big mistake on my part, especially those of us that are in SEO, SEM, SMM, online marketing, PR and so on. I was a few years in before I made a genuine effort and when I think about it today, I can’t believe I was so one-sided. It’s a very simple rule to follow, if you make that effort, your social platforms will grow with targeted traffic, not just any users from paying for followers. Social media has become a major part of branding companies. Your customers are online, they are on social media platforms and more people are connecting with their favorite brands. Social media is a great way to build these relationships with your customers. It gives your brand a whole new level of customer service. It allows you to reach out to your audience for feedback. There’s so many values when it comes to social media and every company, small business and everyone in between should be invested in social media. A lot of experts agree that social media shouldn’t be used to start your brand. They refer to it as common mistake that small businesses do all the time. I don’t suggest using social media to start your brand. Instead, social media should be used to take your business to the next level. Can a brand use social media alone and be successful? Not likely, but it happens. I know that. However, if you’re in this situation, you should put focus on building your website first. The reason I suggest this is because there’s a trust factor to the online buying experience. If you don’t have that trust, it can turn away potential buyers that would have purchased if the brand was more credible. Rather, it’s important that you solidify your brand through a company website or blog first before you attempt social media. 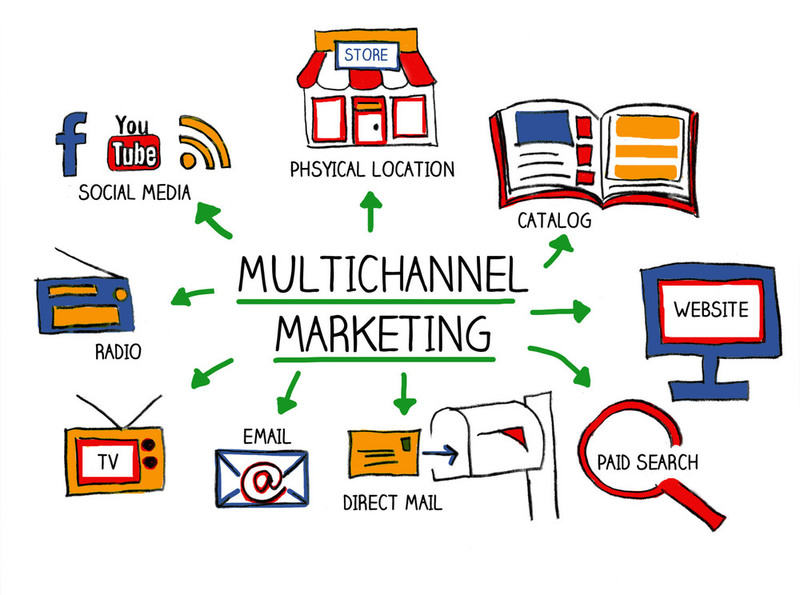 Developing multiple marketing channels for your business is a proven strategy that works. As seen above in this example by Make Extra Paper, there’s a wide range of marketing channels you can include social media marketing with. When you have a solid foundation for your brand, the key is integrating social media into your full-scale marketing plans. You want to make sure that your social media marketing efforts are in relation to the marketing and advertising that your brand does now. It should be a full part of your plan. There’s no right and wrong time. If your brand has a solid foundation, take it to the next level. If your brand doesn’t have that solid foundation, hold up on the social media. And when I say foundation, I’m mainly referring to the brand’s website. By including social media into your full-scale marketing and advertising, your brand should see growth throughout your company’s departments. This is another reason I suggest waiting until you have all your departments running and in order. This is because social media will benefit them all. Customer service can respond on a personal level and quicker than ever before. Your advertising can have more reach and potential. You will be able to connect with new users that find your brand worthy through social outlets. Sales can increase as you build genuine relationships with your target audience. Value can vary when it comes to social media marketing. In this example, Brand Watch gives us a look at some of the value SMM can add to your business. This is a common question we always here as social media marketers, “what’s the value of social media?” If I’ve heard it once, I’ve heard it a thousand times. Of course, it depends on how you value your own social media efforts. While I’m trying to refrain from getting into social media ROI until later, the value of social media can translate to a number of different things, impacting different areas of your business. Loyalty goes a long way in the branding and the buying process. We know that when a customer is loyal, they are often repeat buyers. Repeat buyers mean more sales. The value of brand loyalty is priceless. These types of relationships are what keeps customers coming back to you. But how can you build brand loyalty? You need customers to do it and that’s the reason we call for a full marketing plan in all departments to build a customer base. And again, social media marketing is your golden ticket. Published Author and Life Mentor Robin Rice uses video marketing to engage her audience. Anytime you can create 64 comments on one post, you’re certainly doing something right. You can’t expect social media to be an instant success for your company. But with effort and persistence, you’ll find that building engagement and interaction on your social media platforms is vital to social media success. The value in responding to customer inquiries is priceless. As a consumer, we want our voice to be heard. It doesn’t matter if you’re a new startup company or you’re the owner of a brand such as Coca-Cola, you need to have the ability to respond to your customers. Social media allows us to do so and in a matter of seconds. So responding to your customers in a timely manner is important. It’s one thing to build likes, followers and fans, it’s another to build engagement, interaction and comments. You’ll quickly find that it’s much harder to build this engagement. Going back to what we learned earlier in the guide, it takes a genuine effort. People know when you’re being genuine, so always be invested in your customer’s needs. Engagement allows you to be a thought leader in your industry. Being a thought leader for your brand is highly valued as it can lead to customer growth, new partnerships and new opportunities. The end goal is building trust. The trust factor is a part of the buying experience. If someone doesn’t know you or don’t trust you, it’s going to be tough to make the sale. We all have a starting place in business. It doesn’t matter if you’ve been in business for decades or today is your first day, ALWAYS take the time to engage with your audience. You want others to see the engagement on your website. Think about both SEO and SMM, user metrics are important. When engagement is high, your audience stays longer. This increases the opportunity to sell your products, sell your services. It gives you the chance to show your level of expertise because this is what many look for, so become an influential expert in your industry. If potential customers visit a website or social platform that has no engagement, they’re likely to go elsewhere. On our social media platforms for Hale Associations, we invite users to comment by asking questions, a technique that we know works. In fact, as you’ll see below, there’s a number of ways to engage your followers and get to join to join the conversation. There’s a number of different elements that we can define as “value” when it comes to your social media marketing efforts. On Facebook, this can be likes, shares and comments. On LinkedIn, this could be connecting with a top expert in your industry. On Twitter, it could be a retweet. There’s so many creative ways that you can interact with your audience. And the more genuine and authentic you are, the better results you likely see from your efforts. Once you start seeing your engagement increase, continue to build the bond between you and the consumer. We all appreciate being called out for a good deed, right? We all enjoy good surprises and being appreciated. If you can personalize your engagement, the better the results you’ll likely see. When you first begin building your social platforms, take the time to invite your contacts to interact with your page. If others see the engagement, they’ll be more likely to leave comments. Getting the conversation started is the toughest part. Remember, you don’t want to build relationships that only last a few minutes. Your goal should be long-term relationships. Here’s why. For one, when you first begin engaging others, customers are not going to have deep meaningful relationships with you or the brand. These take time to develop, I keep pointing back to genuine relationships. Customers appreciate a brand that takes the time to help them, answer questions, list to their concerns. The more you engage with them, the better. Social Media Today gives us great insight to how social media relates to customer service. 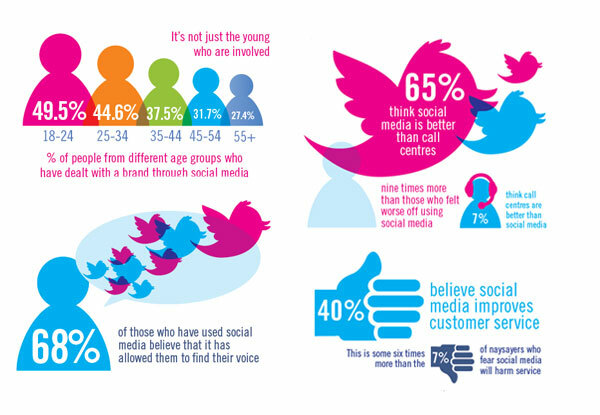 The stats don’t lie, social media is providing a better method of customer service. Why should we use social media as an avenue of customer service? What a great question. I get the “we have a 1-888 number for that” a lot. Without your customers, where would you be? Where would your business be? I’m sure you’ve heard the statement,”the customer is always right.” It wasn’t meant to say the customer is always right, but rather that the customer is the most important element of your business. If you can give your customers pure gold, you do it. Social Media Today’s Daniel Matthews gives you 7 Great Tips For Improved Customer Service. So, if you can add another line of communications and customer service to your audience, you do it! Simple as that. You should put the highest value on your customers an you should care about their happiness. You should want your customers to have a great experience. This can work two ways. If you give your customers a great experience, some will tell others. Word by mouth referrals are always great for business. But in the same token, bad customer service can get others talking as well. Customer service can give you the opportunity to make bad experiences better. Face it, mistakes happen. From the bottom to the top. Some customers will understand this, others won’t. But there’s a power in the fact that a company is trying to right a wrong. If you’re ignored, it doesn’t seem fair. Not every customer will reach out to you, but when they do, you have to be there to provide great customer service. Think about what we’ve been stressing the whole time, build engagement, build interaction, build connections. Great customer service can never be undervalued. Top Spot Internet Marketing tells us that 40 percent of consumers in the path to purchase use social media during the decision to buy process. That’s a huge jump and why your business needs to be active on social platforms. If you have a social media marketing team for your business or a social media marketer, you need to empower them with the proper resources, tools and experience needed to help you properly market on social media platforms. There’s a ton of self-help guides like the one you’re reading online. Take the time to bookmark this guide so your team can learn the correct way to promote your business on social media. There’s a wide range of social media software out there to help you with your efforts on social media. If you can make your life easier on social media, do it. The biggest element that your team could be faced with is time. Social media marketing is time consuming, much more than people think. If you want to make an impact on social media, it will take a genuine effort and time. If your staff can learn one thing, let it be this. Don’t concentrate on the marketing, concentrate on the engagement. If you have staff that have social media accounts, you can utilize them for your own social media marketing efforts. If you can give them the proper experience and resources, it can make an impact. Having your staff available to interact with customers and providing customer support is a beneficial advantage. Engagement is so critical to social media marketing success. Social media marketing should be a team effort, but budget and time limits may only allow you to have one person promoting on your social platforms. There’s nothing wrong with this, but social media should be a complete team effort. If you do have a team available, ask your staff if they are available to spend an hour or two a week promoting the business via social media. While you may have multiple users promoting your business, it’s important to note that keeping a similar tone in your branding efforts is important. Terminology in your marketing can be played with and tested as needed. But the overall tone should be the same across all your marketing platforms. If you’re flying solo with the company’s social media marketing, you should consider which social media platforms will work best for your company. We’ll talk about this in more detail later in our social media guide. For now, you don’t want to spread yourself thin. If you have to, you could take the time and promote on various social platforms until you have enough data to test which sites are working and which are not. 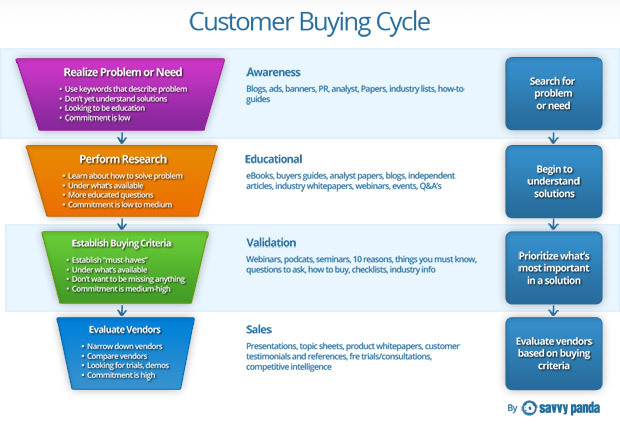 In this example, Saavy Panda shows us the customer buying cycle. 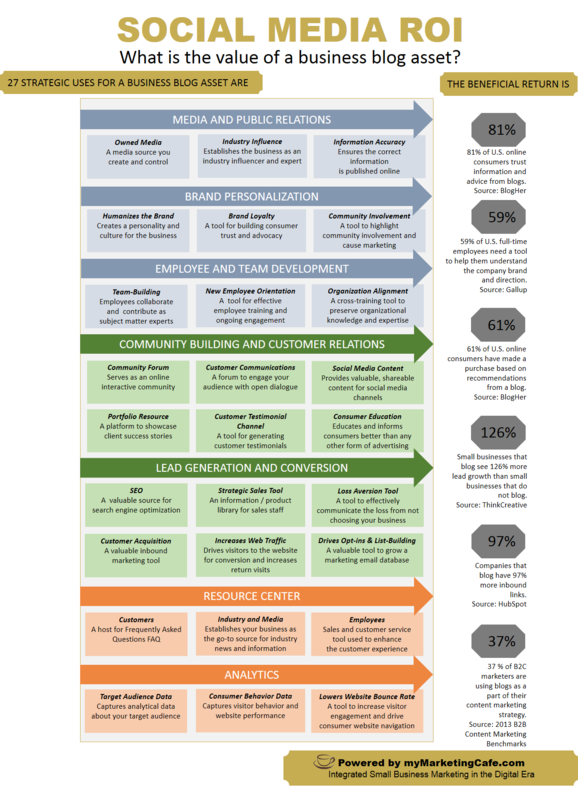 You can use this as guide to see how your social media marketing efforts relate to the buying process. You know the importance of engagement, I’ve brought it up multiple times in this social media marketing guide. Of course, this is going to be dependent on the type of market and niche you work in. See, you have to give your audience some type of value to keep them coming back. It’s one thing to get them there, it’s another to keep them coming back for more. This is why the social accounts you decide to promote on will need to be updated daily to give you the maximum reach. I’m a big fan of A/B testing and if you’re running social media marketing campaigns or marketing campaigns elsewhere, you need to know the results of your efforts. If you don’t have it tracking yet, you have to get Google Analytics. This will allow you to track the results of your marketing campaigns, no matter what channel you choose to promote on. Take the time to learn how Google Analytics works. You shouldn’t rely on just one marketing channel anyway. But more importantly, you need to know the results. A/B testing allows you to see how users are engaging with your content. User metrics are critical to the growth and development of your business, social media or not. You need to learn what types of content work best for your audience. There’s a wide range of social media analytic tools out there to use. Constant Contact shows us some of the most popular social media platforms and different types of content that are used to market on the specific social outlets. Question And Answer – This type of social media content is designed to engage your audience and to build relationships with others. When customers have a question, they want an answer as soon as possible. This type of content allows you to address the concerns of your customers. By providing this high level of customer support, you help your customers feel that you care about their needs. This is a big plus in the mind of your customers. Learn And Development – We all enjoy learning about new tools and resources that make life easier. This could be personal use or for workflow. This type of social media content is designed to give your customers solutions. This is an awesome way to increase engagement on your social media accounts. Personally, I love marketing tools and resources that I can use myself to build engagement, leads, conversions and sales. So will your customers. Discovery And Exploring – It’s human nature to want to be the best at what you do. We’re always looking for new creative ways to use a service or product. And when we find something cool, what do we do? We tell others, especially when it’s something cool, new and exciting. So this social media content is used to thrive engagement and thought leadership. Solutions To Problems – Technically, this category can fall in line with the others, but I wanted to give it a spot on the list because there’s no greater power than being able to solve someone’s issue. It’s supply and demand, which thrives business. Creating the type of social media content that gets comments, shares and builds community. 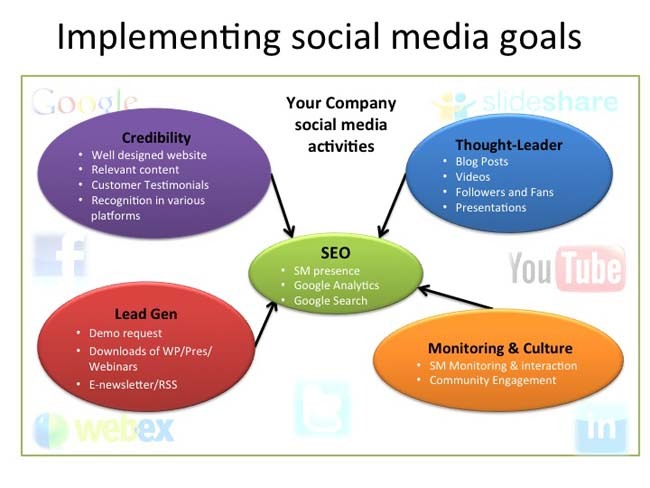 Rasha Proctor explains how you can implement your social media marketing goals in this visual. Every business has goals that need to be met via social media. If you’re going to invest the time, money and effort into your social media marketing campaigns, you need to make sure that you’re setting goals. So take the time to write your business plan/case for SMM. Here’s some important questions to ask while you stage your planning. What are your goals for social media marketing? What is your cost of achieving those goals? What type of resources will you need? What are the problems you’ll solve? How will customers respond to your content? What type of social media management technology do you use? When writing your business case, you should take a safe approach. The important metric is keeping your data accurate. Use your first campaigns as case studies. Find what works and track the results. A/B testing different marketing channels and different content. If you have to, this can be shared with the higher ups in your company. Setting goals for your social marketing will give you benchmarks to achieve. This can also give you a general idea of ROI. 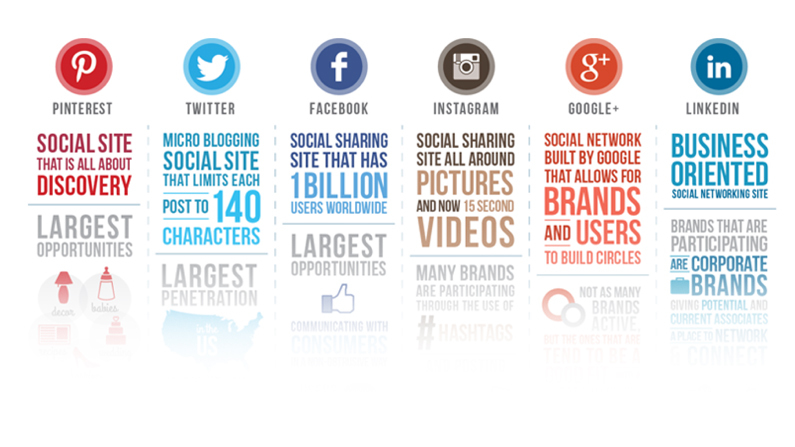 Snyder Group Inc. portrays 6 of the largest social media communities online and metrics that make each one unique. It will be up to your business to decide which social media platforms make the most sense. Here’s another area where businesses can fail. What social media platforms should I invest in? Which are the best social media platforms to market my business on? Valid questions. Many people think they can promote on any social media platform. That’s true, but the results have to be there. Just because you can promote on any social platform doesn’t make it right to do so. But why? Most of us have a specific target audience that we must reach. In a lot of cases, compared to the overall market, that niche is very small. It takes a specific customer to buy your product, what ever that may be. The point to take away, one social platform may be better to promote on when compared to another. There’s no questions that Facebook can work for most companies. But no other social platform compares to Facebook, not even close. So Facebook is a given, but the others are not. Your business will have to figure out which social channels are worth investing on and which to avoid. The last thing you want to do is commit (X) amount of hours every week to see no results. Don’t get this confused with the process of build your social media foundation, it takes a little time to see results. It’s important to note that you need to be active on these platforms also. Followers and fans will expect your routine, so have a schedule. This way, they know when to come to your page to see new content. As for which social media platforms are the best to use to reach your target audience, that’s going to be dependant on your business. If you don’t know, find out. Run multiple marketing campaigns to see which brings results. You can never go wrong A/B testing. Note that. This also depends on what you’re trying to accomplish on social media because this varies. While the end goal will always be sales, it doesn’t mean that leads are not worth their weight in gold. Many companies use social media as a funnel to get emails, opt-ins and so forth. 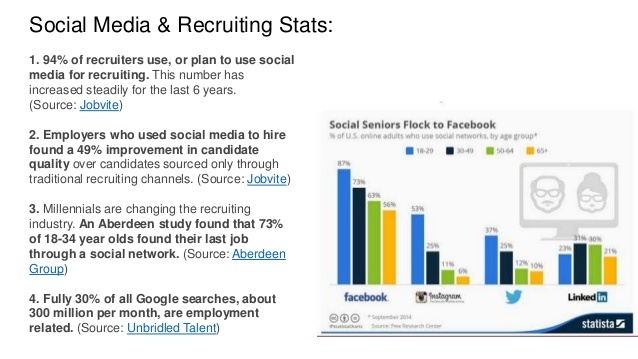 Statista shows us that social media plays a vital role in Human Resources, especially in the B2B communities. What role does social media play in human resources? Employee engagement is one of the big factors, allowing your employees to interact with one another, as well as the business. This goes back to what you read earlier in this social media marketing guide. You want to teach all of your staff how to utilize social media for the business. Give them the proper training, share this guide with them. Having your team employed with the experience and knowledge to effectively promote your business on social media is priceless. And with the whole team involved, each will only need a few minutes. (Depending on the size of your business of course…. but you get the point. Your HR department can also find new applicants for your business. And I love this idea. While being able to visit social profiles can give you a glimpse of the personality of new recruits, it also allows you to connect with them personally. That’s it, personally. How many job applicant processes are outdated and boring? Too many. By recruting new job prospects online, you’ll be able to connect with applicants in a personal manner. And if the skills require online experience, you can get a great glimpse at potential candidates. We know through case studies that social media signals for specific pages play a role in SEO and how a page ranks. 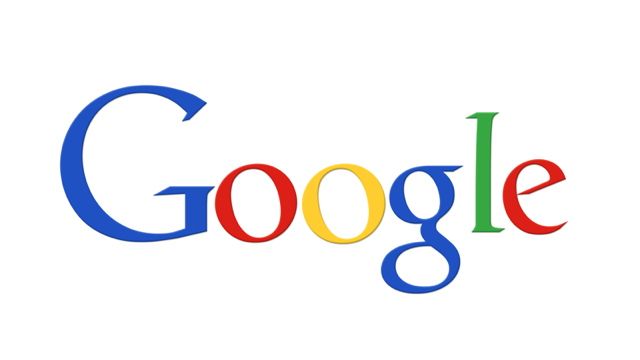 To Google, social signals are more trustworthy than backlinks. But it doesn’t mean that it’s a higher SEO ranking factor because backlinks are still the priority. There’s a mass range of great content ideas that deserve a position in your content bank or your scheduled content. We’ll shortly go over the different types of social media content. Your social media content is crucial to your success on social accounts. If you fail to deliver the right target audience for your business, you’re going to fail. If you fail to engage your audience and connect with them, your business will fail. So the content you share is a vital piece of the puzzle. When it comes to social media content, what’s the best approach? For starters and I always say this, “humanize the content you share.” What type of social media content doesn’t get shared? Simple, it’s content that sounds automated. It’s social content that constantly promotes services and products. You might as well post BUY! BUY! BUY! If you constantly push your services and products when building your social pages, you’ll fail. It’s not maybe you fail…, you will fail. Think about it, If all of your content is pushing services or products on your followers, likely they want respond. This is why your social media content should be carefully planned in advance. I’ve been a big fan of Viral Content Buzz since day one. VCB will help your content get shared via social media. You can make some great relationships along the way also. To get your social media sharing campaigns jump started, you can use websites like Viral Content Buzz. I’ve been using VCB for several years now. Viral Content Buzz allows you to earn points by sharing the content of others. When you gain enough points, you can submit your own social media campaigns and the results are quick. The great thing about VCB is the fact that it has dozens of topics, so it appeals to all markets. If you take the time to share the content of others, you will see some of them share your content. However, this is not the most effective method. Rather, you should concentrate on building a genuine relationship with them first before you ever consider asking them for anything. We have a lot to learn from other. Together, we can accomplish great things. But you have to be genuine, so important. And if you do, you’ll see that connecting with others will be more effective. Scoop It is another option for you. You can share content here for free, but you can get more features with a paid account. Mosaic HUB is a new option that I have found. Great for marketing professionals to connect, some what like LinkedIn. Get Social is another sharing community with free and paid features. The more you put your business out there, the more opportunities you create to be found. Give yourself every advantage. Especially those of you that have startup businesses. 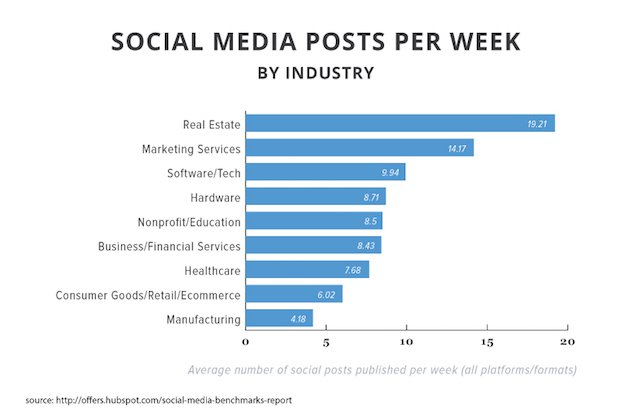 Hubspot shows us which industries lead in social sharing. This is relevant because you want to make meaningful relationships with leaders in your industry. Relevancy is so critical in social media marketing and SEO. Don’t make the same mistake I did early in my marketing career. I never took the time to make genuine relationships with those in my industry. It was a HUGE mistake. If you want to be a thought leader in the industry and want to have success via social media, make an effort to connect with those in your industry. On top of that, the customers you target are going to be the same as the accounts you connect with. If you choose to cross promote or work with other social influencers, it can benefit both parties. Take the time to research influencers in your market. You can use #hashtags to find others that may share similar interest as yourself. Hashtags are a whole new subject we’ll get into later, but use them in the social platform’s search field. Use an appropriate hashtag, find your connections , connect with them and begin building your relationships. Not everyone is going to be open to connecting to you. The reasons can vary. Some are just way too busy, others may have social media managers operating the channels, others may have most of their social media marketing effort automated. Don’t expect quick replies, but do be persistent, but patient. The best advice I can give you, please don’t ask for something in your opening message. I know I hate it, nothing looks so automated. Connect with them first, get to know them. Interact with their social pages first. You have a higher chance of a response this way compared to jumping right in for the kill. 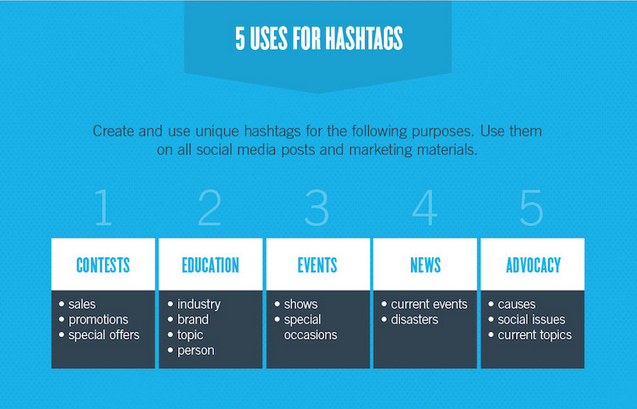 Business 2 Community shows us that #Hashtags can be used for a variety of different purposes. If you have paid attention to the world we live in now, hashtags can be found nearly everywhere. #Hashtags work in a variety of different ways. Most commonly on social media and company branding. Hashtags are found throughout social media communities, you can how find them being used on all the major social channels of the world. But what does it all mean? What makes the #hashtag relevant? Hashtags are used in social media marketing to define specific post and help users that search via the hashtag find relative topics they’ve searched for. For example, if we wanted to share this social media marketing guide on Facebook, Twitter, Pinterest, Google+ or Instagram, we may use hashtags such as #SocialMedia #SocialMediaMarketing or #SocialMediaMarketingGuide All of these hashtags are relative to our social media marketing guide. By doing so, we stand a good chance of being found when others search for these keywords via social search engines. Hashtags also help us find relevant content, we can use hashtags to find any type of content that we may need. This is a great resource for researchers, writers, marketers or anyone looking to capture breaking news. Companies have even took hashtags to a whole new level with company branding. #PutACanOnIt and #Shareacoke are two great examples of top brands cashing in with hashtags. Just like users know to use Google, the same can be said about social media search engines. 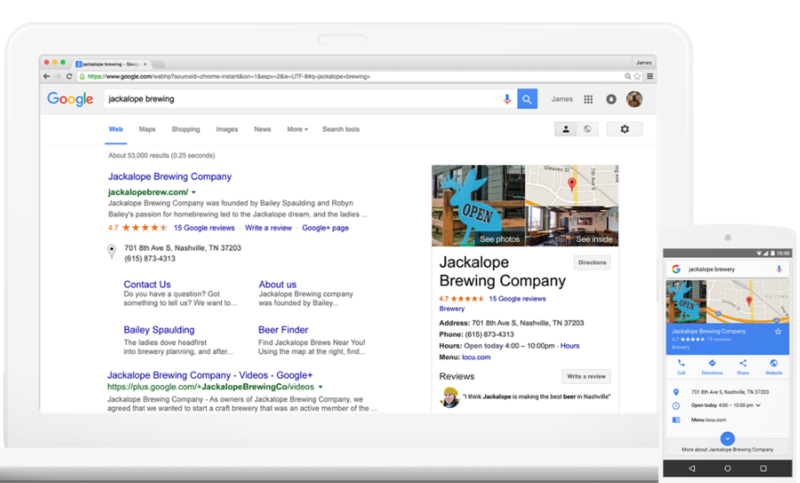 I expect social search engines to get better and return even more results than now. Check out Hootsuite’s How To Use Hashtags. When it comes to proper branding of your business, there’s a lot of different factors that have to be considered. One of the most important elements is brand consistency. As we dig deeper, this can also refer to numerous elements also. From day one, you should be adding brand value. Some examples include earning trust, a great reputation, a leader in the industry or excellent customer service. Companies are always reviewed in these areas and if you miss on your branding, it can put a kink in your customer buying process. Most companies start with branding rules, branding guidelines, what ever terminology you wish to use. In short, this is a list of rules that revolve around the brand. One simple but important brand rule would likely be color schemes and font in marketing, perhaps also including the logo. These rules keep your brand consistent on a global level, that’s the point of having them. It doesn’t matter if these instructions or guidelines are for social media marketing or content marketing, the brand should carry the same principles throughout all levels of the company. So, how does consistent branding translate to social media marketing? 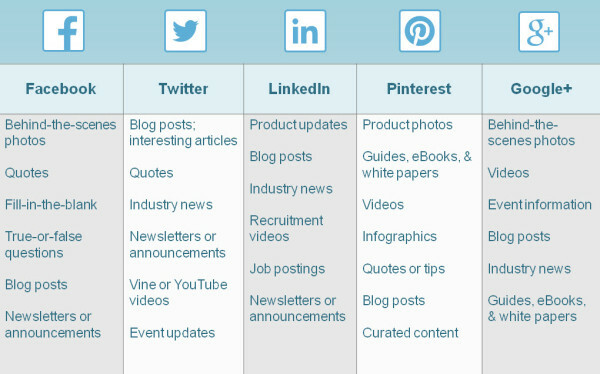 On social media platforms, we share a variety of different content types. While this content may not be direct branding, anything you share will always carry the brand name. Therefore, everything that is published is branding. Some of you may be promoting on 3, 4, 5 different social media channels daily. While the best practice would be to use the same content on all channels, not all companies follow this route. But if you do, the goal is to make sure you’re following branding rules and staying consistent across all social platforms. If you’re company doesn’t have integration among the social channels, you’re likely missing out on the benefits of content integration. Use social media management software to ensure that your social media content is published at the same time and published on all your social platforms. Social media integration is crucial to any brand, the message should be similar, the target audience should be similar. *Depending on the business of course) Bottom line, customers trust a consistent brand more and this is some of the value you build with social media integration. Bright Local gives us some great insight to how reviews play a role in customers trusting a business. Speaking of trust, do you purchase from companies you don’t trust? Likely not, right? But what’s the trust factor? A runned-down website? No social media channels? Years between last published content? Bad reviews? The point to grasp, there’s a lot of different factors that can turn a customer away and that’s the last thing you want. So the GOAL for all brands isz to earn TRUST from their target audience, and this is through all marketing channels, online and offline. Back to Bright Local and the great visual resource above, reviews play a big role in the buying process, social media or not. 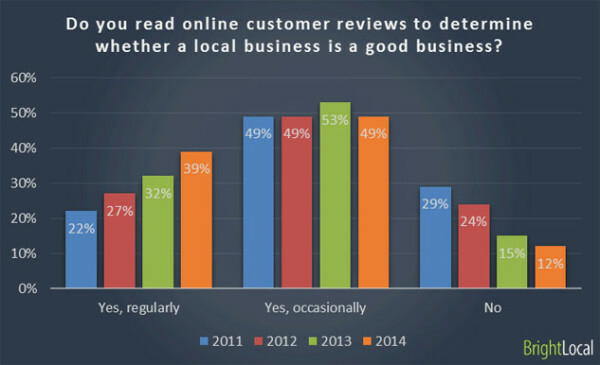 I wanted to mention reviews because customers can leave reviews on Facebook, Google+, Yelp and other social platforms. Customers that don’t know your brand will likely look you up before they even consider doing business with you. 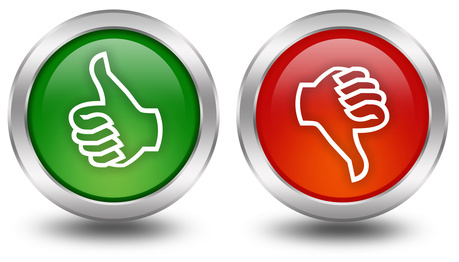 Great reviews can help while bad reviews can be damaging. You ALWAYS need to be aware of what your customers are saying. If a customer has a bad experience, make it better for them. What have we talked about the most in this social marketing guide? HINT: ENGAGEMENT. Engagement drives success, loyalty, trust, relationships and connections through social media. This is why I always suggest the “human approach.” You have to be real with the connections you make, especially a start-up business or a relatively new business that has little online presence. Building relationships via social media is just like building relationships offline. The concept is the same and we tend to forget that as we’re caught up in the digital world. We expect it to be that way perhaps, I’m not quite sure. I think we complicate the process and while it does take effort, it’s just like making friends and relationships in your town, city, ect. Don’t complicate it. 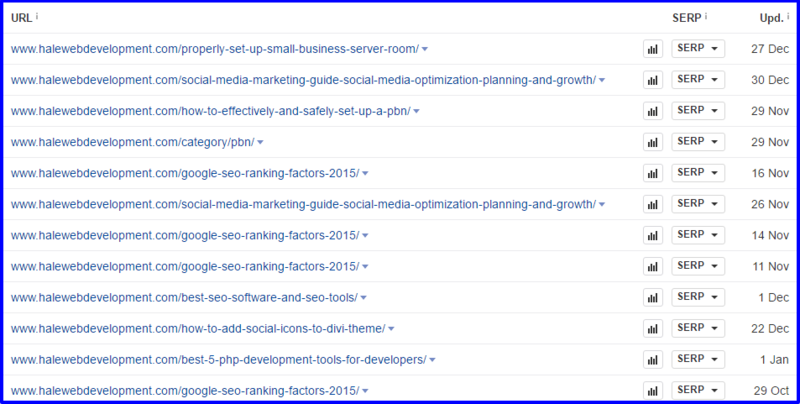 SEO Profiler allows us to track traffic from social media that land on our website pages. We can also see how traffic from specific social media platforms interact with our pages with this software. Now that you have the inside intel on promoting content through social media, you’ll need a way to monitor the data, analytics and results taking place through your efforts. Google Analytics is likely one of the most used analytic tools and for good reason. If you’re using Google Analytics, get it right away, the insights are priceless and so is Google Analytics, (FREE). With your Facebook marketing campaigns, you get useful insights to the pages you manage from Facebook itself. Other social platforms are not as advanced. so you’ll need some type of software or tool to get valuable data and insights to analyze. Pictured above, this is one of the tools that we use here at Hale Associations. SEO Profiler has a wide range of insights for your social media marketing. Above, you can see that we can track users that come from social media, how many page views occurred, how long our social traffic averages on our website and the number of goals that were completed (if any). These social media marketing insights allow us to see how our audience responds to our content and how that relates to traffic to our website. 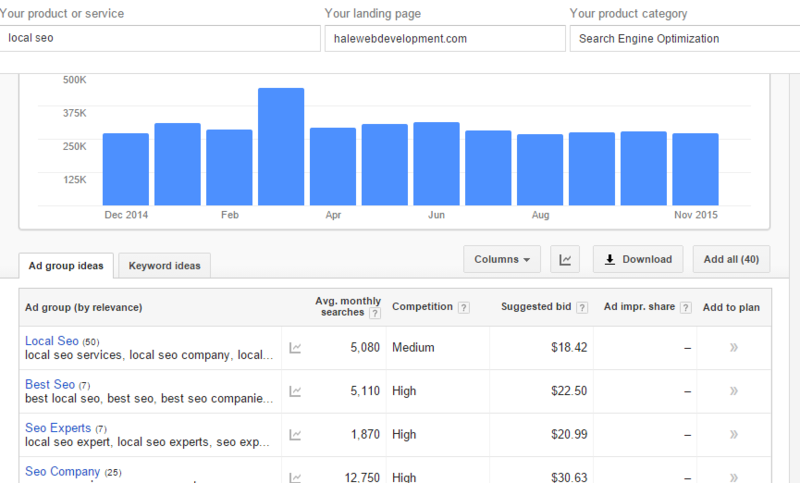 It also tracks the exact pages, which is extremely useful for landing pages. 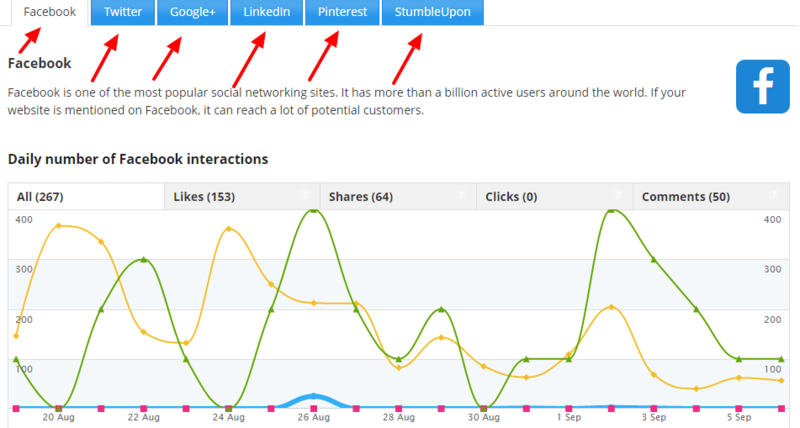 SEO Profiler also allows us to track engagement of most major social media platforms as seen above. As you can see above in the visual, the example is looking at interaction on our Facebook page. 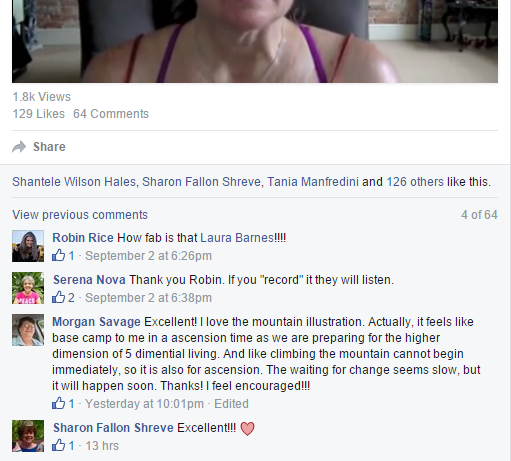 We’re able to track likes, shares, clicks and comments. If we see a spike, we can go back to that day’s publication to know which content type gave us results. Very useful insights. You’ll need software and tools to track your results from social media marketing. These results serve another purpose, determining your social media marketing ROI. Even with the best social media marketing tools and software by your side, determining your social media ROI can be difficult. Social media ROI, it’s a term that marketers hate discussing and a term that clients often ask. Face it, your clients want to know what results their investment for social media marketing is bringing. And the better you can explain it with results, the better off everyone is. How can I determine social media marketing ROI? First, you have to give every action a value. Easier said than done. So let me give you a good example. Customer A clicks on a post from your Facebook page and travels to a landing page where a purchase it made for $20. From this sale, your profit margin is 75 percent, so you take home $15. This is the ROI for that action. It’s easy to determine because it’s priced and you know your profit margins. Now, what happens if you get someone to subscribe to your free email list? This list is important to your business, you use it twice a month with your email marketing campaigns. But that’s converted traffic. For now, all it’s a free email signup. Because this action is not a paid action, you’ll have to determine the value for email subscribers. The same can be said about a new social media follower, app downloads or visits to your website. All of these have some type of value to your business. You should assign a value for each for better tracking and understanding. For more insight, check out this informative infographic by My Marketing Cafe. There’s a lot of ways that social media marketing can bring value. Your business has to determine what those values are. Make no mistake, social media marketing takes time. You can’t expert to have a superstar Facebook page in a month or two. It takes a genuine effort and proper understanding to master social networking. 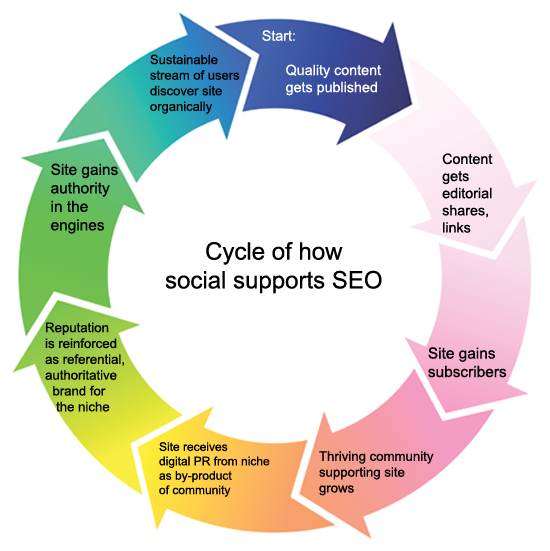 Barn Raisers shows the cycle of how social media supports SEO. The two feed off each other in many ways. You’ve likely heard of SEO before, also search engine optimization. The two relate in many ways. 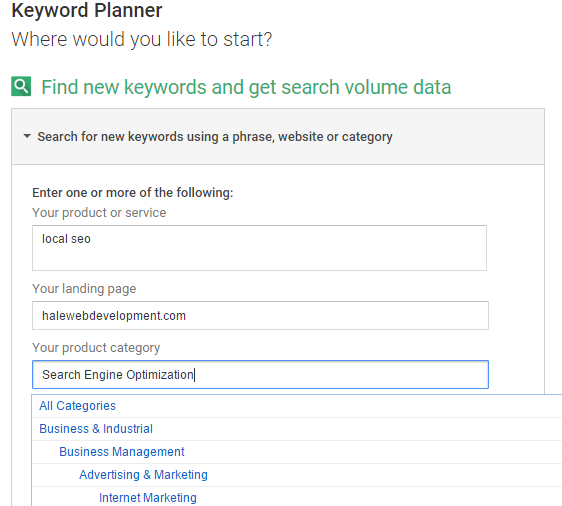 With SEO, you use targeted keywords to drive in organic traffic. With social media, you do the same using hashtags to categorize your social media post and content. Just as a website has SEO value, domain authority, your social media accounts have this also. 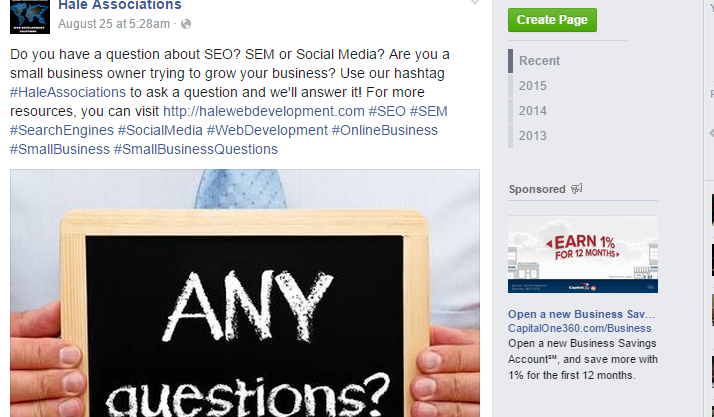 You can add SEO value to your social media accounts with backlinks and other SEO tactics. Your website content should always have social media sharing buttons. In SEO, we know that social media shares adds value to a page and the keywords attached to that page. The more social shares any given page has, that page will have added SEO value. While the SEO value is minimal, every piece of value you can gain is important. Major search engines can pull up your content on your social media platforms. You want users to be able to find these platforms. You want them to have the ability to follow you on social media. Think about adding ways to connect to your social platforms on your website. Brand mentions also have SEO weight. The more your brand is discussed, the better. So SEO and social media marketing cross a lot and integrate. Learn more ways that SEO and Social Media work together. An awesome visual by Viz Wiz on Blogspot (Google) showing growth of users on the top social media platforms. I know I’ve covered a lot of different topics. Over 8,000+ words of content in our social media marketing guide. Remember, you can always save it as a bookmark. And we thank you for taking the time to visit us and read our guides. I know some of you may be at different levels with your business. Some of you likely have aged social platforms while others may just be now building their social network. But we’re always LEARNING. You can never learn enough. Don’t get comfortable in your ways, you should always be willing to try new things. Social media basics will always be the same, but few give out their best kept secrets. So you have to be willing to try new things and experiment in your social media marketing efforts. A/B testing, case studies, stand behind your data and analysis. Growing your social media platforms takes time and patience. But if you take the time to learn the social media marketing strategies I’ve listed and you get your resources in place, you will have the opportunity to be successful on social media. Make sure you take the time to research successful social platforms in your industry and market. This is a great way to see what’s working with them. You also learn by doing this and it can inspire creativity in-house as well. The learning process is important because knowledge is power. This is especially true for those of you that offer social media marketing services. Social media influence is just now getting started. New social platforms are always rising and falling. All of this equals opportunity on your end. When web designers work on a website, it could be daunting. But the actual challenge is not actually taking care of the aesthetics but perfecting the need for a user-friendly design that actually converts. The problem with most web designers is that they fail to solve the user’s needs, and instead just design websites with their personal fancies in mind. The bad thing is users don’t think the way they think. Let’s talk about the most common mistakes of website designers. Content is what drives traffic to a website. The structure or layout of the content will lead to success or failure. Users usually just scan through information, and they only pick out the interesting points. Therefore, an organized layout is vital in attracting more users. Sadly, some designers don’t mind about the layout of the content. They just simply put a block of texts on the webpage without using headings, sub-headings, paragraphs, bullets, etc. It’s important to use appropriate title for each web page so that users can easily follow them. Some web designers even forget naming web pages. The first thing users notice about a website is its color scheme—before product and content. Some designers don’t have an eye in choosing color schemes. Some mistakes they make are: using overly timid colors, using overly saturated colors, and using too many colors. The most frequent color blunders committed by new designers, as well as experienced designers is color clashes. Color clashes often appear between the background and the foreground. Users read the website’s content to grasp some helpful information. But some websites have the most bizarre font sizes and styles that make reading a pain. A poor font choice can have a negative effect not just on your website but on your company’s reputation. To improve your user’s site experience, check out suggested web design color schemes. A good place to start is Adobe Kuler. For your content, using Sans Serif typeface and other easy-to-read scripts are recommended. Some designers have excessive creativity. They take things to another level by using different designs for every web page. They have loads of ideas that they want to put in one website. But this is just confusing to the users. No matter how attractive the designs are, the inconsistent look of a website is just not appropriate. Using a standard template for every page will keep the whole website simple and not confusing. Some designers design a website that’s heavy to load. And this is due to excessive images/animations. What a huge turn off it is when users are greeted by too much images and animations, plus the website takes too long to load due to this inefficient web design approach. Excessive usage of Ads also contributes to a slow load time. Distracting images, animations, and Ads will only make your users leave your website. These elements should be minimized and should be used appropriately. Designers sometimes forget that a website is like an archive of information. Whether it’s a company website or a blog, a search box is essential. Visitors are likely to be looking for some information that’s hidden within the website. A good web design includes a search box that is easy to find. A neat and simple search box on top, or on the side, is an effective tool that will enable site visitors to easily search for information. Take a look at your web design strategy right now and avoid these common web design mistakes. A professionally made website is your best tool in gaining more customers and establishing your company’s credibility. When building a new website or improving an existing website, make sure to understand how users think. Website designers should keep websites simple yet attractive. 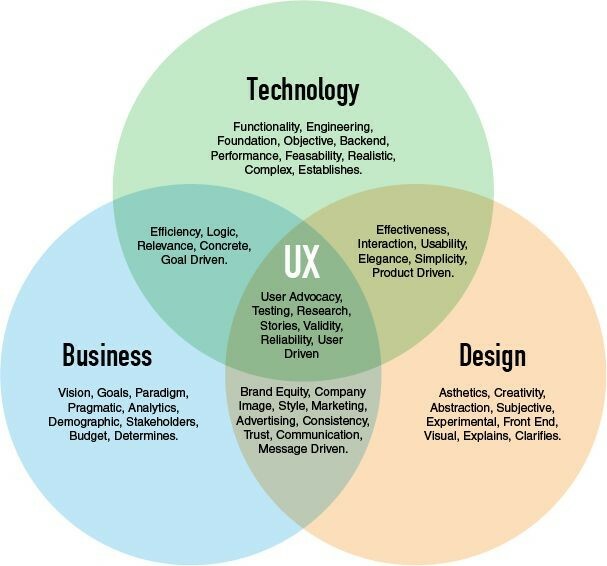 The most important thing when you design a website, above all else, is usability. Christian Jude Cuyos is an enthusiast, who transforms complicated ideas into more suitable and valuable to readers. He thrives on challenges, particularly those that expand the company’s reach. together with ConvertBetter, an expert of online marketing company and web designers helps him be a professional marketer.